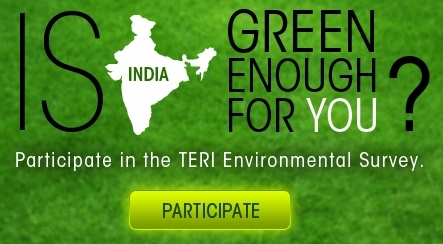 Participate in the Environment Survey . The survey is being conducted in six states: Assam, Delhi/ NCR, Goa, Himachal Pradesh, Karnataka and Rajasthan. The age group of those surveyed is 18 years and above. Assam, Delhi/ NCR, Goa, Himachal Pradesh, Karnataka and Rajasthan. responses. The survey will be on till 22nd April, 2012. You can also disseminate this link on social networking websites such as by posting this link on your facebook wall as well, but specify the states involved.